Just two weeks to game time! Well, 13 days. This is Friday’s entry. Sorry for the delays, I’m stretched a little thinner than anticipated, but it’s a good thing because it’s extra writing work and of course the SP Guide which is coming along nicely. There are more impactful players on the White Sox I could’ve written about, but I’m intrigued by Jeff Keppinger in 2013. He is going to be the everyday third baseman batting second for them. Third base has been an issue for quite some time in Chicago. The position has been a hole for the Sox for quite some time. It was temporarily filled last year with at least adequate production when Kevin Youkilis came over via trade, but he was far from the Youk of old. Gordon Beckham was above average there for 103 games in 2009, but the last time they had a full season of above average production at the hot corner was Joe Crede in 2006. Keppinger is far from a star, but he should bring some much-needed stability to the position. On the fantasy landscape Keppinger’s appeal comes from the fact that he has an everyday job and he qualifies at three infield positions: first, second, and third base. That of course adds corner and middle infield for fantasy purposes, too. He even had 20 games as a DH with Tampa Bay last year so those leagues that require you to use an actual DH will like Keppinger even more. His offensive profile isn’t particularly special, but the flexibility he brings your lineup helps the modest production play up. It’s like a pitcher with a modest fastball, but pinpoint command. Yeah, that’s it… best comp ever. Honestly, Kepp should be a platoon player and not the good side, but the Sox are giving him the role in full perhaps heartened by his work against righties last year (.302/.352/.403) which was well above his career level against righties (.269/.321/.358). The White Sox got nothing out of their #2 hole last year so even falling back to his career level versus righties combined with his sparkling .333/.376/.487 mark against lefties is going to yield a massive improvement over the .221/.296/.354 performance that the White Sox saw batting second last year. The 650 OPS was tied for third-worst in all of baseball with Minnesota and Seattle, just barely topping Oakland’s 649. With Adam Dunn, Paul Konerko, and Alex Rios making up the heart of the order behind Keppinger (career .337 OBP), he should be in line to score plenty of runs. He had a bit of a power surge last year popping nine home runs which could jump up past double digits in his new ballpark. That said he is a groundball/line drive hitter which drives his batting average. His flyball rate is actually on the way down dropping to 27.4 percent last year after a 29.6 percent mark in 2010. His 9.2 percent HR/FB rate – his highest since 2006 when he played just 22 games – was responsible for his power surge last year. I’m not recommending Keppinger as a shallow mixed league play, there is no need to go that deep, but super deep mixed leagues and of course AL-Only leagues can get some sneaky value with a guy like Keppinger. His batting average will be the meal ticket, but if he maintains everyday play all year we could see 80 runs scored, 10-12 home runs, 60 runs driven in. Think of him as 2012 Marco Scutaro-lite without the speed. With the 2011 Starting Pitcher Guide slated for next month, I have a jam packed volume covering all the ins and outs of starting pitching in the 2011 season for your viewing pleasure. Of course that doesn’t do much to address the offensive side of things so I decided to start this “Three Questions” where I will cover some key offensive issues for each of the 30 teams. There will be more content here dealing with offense, but this is the beginning. How will the playing time be split between the 947 outfielders on the roster? After their offseason acquisitions, the Oakland A’s have the following outfielders on the roster: Chris Carter, Coco Crisp, David DeJesus, Conor Jackson, Hideki Matsui, Ryan Sweeney, Michael Taylor and Josh Willingham. With Jack Cust no longer on the team, you pretty much pencil Matsui into the DH spot for most of the season. That leaves seven players for three spots. So the ideal setup would be DeJesus in left, Crisp in center and Willingham in right. Ideal is the operative word here because though the A’s would love to get 150 apiece games out of that trio, they are far from the modicum of health. DeJesus played just 91 games last year and has only once topped 144 in his career (157 in ’07). Crisp has never reached the 150-game plateau. In the past three seasons he has played 118, 49 and 75 games, so he is far from a sure thing. Add in that he is now on the wrong side of 30 years old (31), too. Like Crisp, Willingham has never reached the 150-game plateau, either. He has only topped 500 at-bats twice in his career and they were in his first two full seasons as a major leaguer (2006 & 2007). In the subsequent three years, he has 351, 427 and 370 at-bats. So like I said, in a dream world the A’s would give the bulk of time to those three players but history says that you really shouldn’t bet on that with any level of certainty. Since he can play all three positions, Sweeney is natural fit for the fourth outfielder as he can be plugged in for any of the three starters. Jackson primarily plays left, but could play right in a pinch. He can also play first base so he could end up rotating around the diamond to get his playing time. Carter and Taylor might both start the season in AAA. The former can’t really play anywhere so he projects as the backup DH right now while the former is on the cusp of being a busted prospect. He was rated 29th by Baseball America before the 2010 season and went out and laid an egg with a .740 OPS and just six home runs after seasons of 19 and 20 and OPS marks of .968 and .944 in 2008 and 2009. He can play all three outfield spots so he can back anyone up or take over a starting job if he establishes himself at the plate in AAA. The A’s have great depth in the outfield which suits them quite well, but does little inspire fantasy owners. All of their outfielders are likely to be discounted both because of health concerns and the lack of clarity around playing time so if one or more of them manages to play a full season, they will be very profitable for their team. I would pick one you think is most worth gambling on, but avoid rostering multiple A’s outfielders. Ranking them, I’d go: Crisp, Matsui, Willingham, DeJesus, Sweeney, Jackson, Carter and Taylor. What’s up with Kurt Suzuki? That is kind of a vague question, but looking at his 2010 season against 2009 season shows significant decline in total player value, but more so to the A’s than to fantasy owners. His runs and RBIs sunk, but a lot of that is tied to the 75 fewer at-bats as opposed to a production drop. His power output was essentially the same as he hit two fewer home runs in the 75 fewer ABs. The big drop came in 32-point batting average decline which shades his season as much worse than it actually was, again from a fantasy aspect specifically. Calling it a 32-point drop sounds a lot worse than calling it what it really is, a 3.2% dip over the course of 131 games. Playing 131 games is essentially 21 weeks of a 26 week season and in that span the difference between a .274 batting average and a .242 batting average is 16 hits, or less than one a week. When you think about it like that, he needed less than one extra bloop a week to fall in and all the talk about “what was wrong with Suzuki?” would be non-existent. This is why I don’t flip out over batting average fluctuations from one year to the next within a certain range. Some raise an eyebrow and there is something within their skills that points to a long-term problem, but mostly it’s statistical noise. For Suzuki, he suffered a very weird anomaly where he had a 20% infield flyball rate, more than double his previous career high. It contributed to an ugly .245 BABIP which obviously held his batting average down. 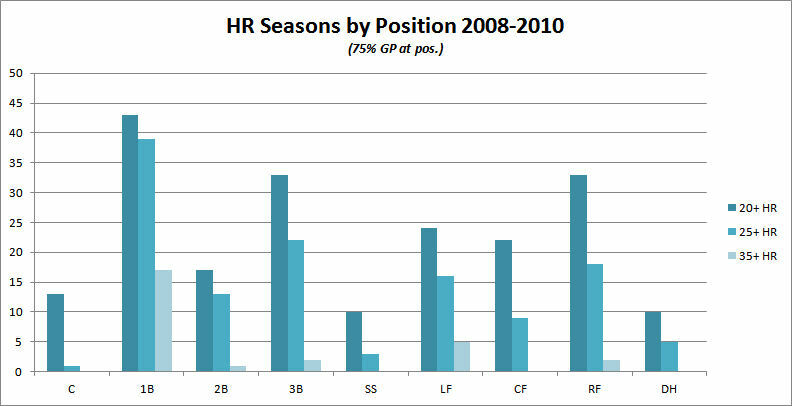 Use Suzuki’s 2009 as a baseline projection for his 2011 season and draft accordingly. Catcher is deeper than usual thanks to the recent influx of young talent (namely Carlos Santana and Buster Posey) and Suzuki projects as a borderline top 10 candidate at the position. Does Daric Barton have any value in standard 5×5 leagues? In a word? No. Because standard leagues don’t use on-base percentage which eliminates his most value asset: the ability to draw walks (AL high 110 last year). And that leaves you with a first baseman or corner infielder hitting a blasé .265-.275, barely scraping double digit power with fewer than 60 RBIs (due at least in some part to his team setting) and not turning his high on-base percentage into a high number of runs scored (again, due at least in part to his team setting). That’s trash. There were 15 first basemen that hit 20+ home runs, which is double Barton’s output and there were 27 in all who hit more than his pitiful 10 home runs. There were 22 first basemen with more RBIs than his 57 including Kevin Youkilis who topped him by five in nearly 200 fewer at-bats. Slotting him at corner only makes things look worse as there were another 11 third basemen with 20+ home runs, 21 topping 10 as well as 19 guys who topped his RBI output. Unless you play in a specialty league that counts walks and/or on-base percentage, Barton is waiver wire fodder until further notice. And I’m only leaving the door open slightly because he is 25 years old and it wouldn’t be out of the realm of possibilities for him to develop some power and for the Oakland lineup to stay healthy and generate plenty of run scoring and driving in opportunities, but the opening is very minimal and I certainly wouldn’t advise you to bet on it.